Happy Holidays from Howl2GO Texas! We hope you had a great Thanksgiving! 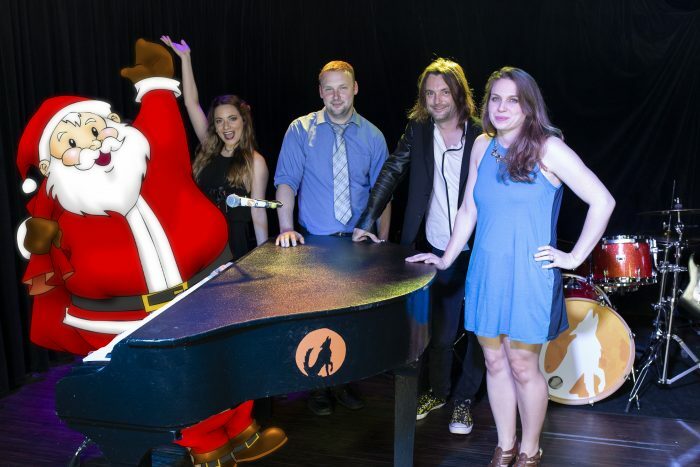 We have an incredible month of Dueling Piano parties coming up for December. Kicking the month off, we were thrilled to be asked once again to perform for the medical professionals and staff of the WellMed Medical Group at their annual holiday party. Last year was a great celebration and we are excited to be back again this year. On the 6th of the month, another group is having Howl2GO’s Dueling Pianos return to entertain their staff for the second year running in San Antonio. There is no greater compliment than when any group asks us back and we’re more than happy to oblige. Our Howl2GO Texas team has two sets of everything we need to ensure that we can comfortably perform two shows in two different locations. We’re going to be using both on December 7th, where our teams split up and head to the music mecca that is Austin. We love heading up here and taking in the atmosphere of all the live music going on around town. At the same time, we’ll also be hitting the stage on the border over in Corpus Christi. Let’s not forget, every month is perfect for a wedding, and that’s what we’ll be celebrating on the 8th, in Houston and Galveston! After a few days off, we head back to one of our favorite venues in The Woodlands, whilst not technically a holiday party, we’ll be sure to slip in a couple of festive tunes to keep everyone dancing. 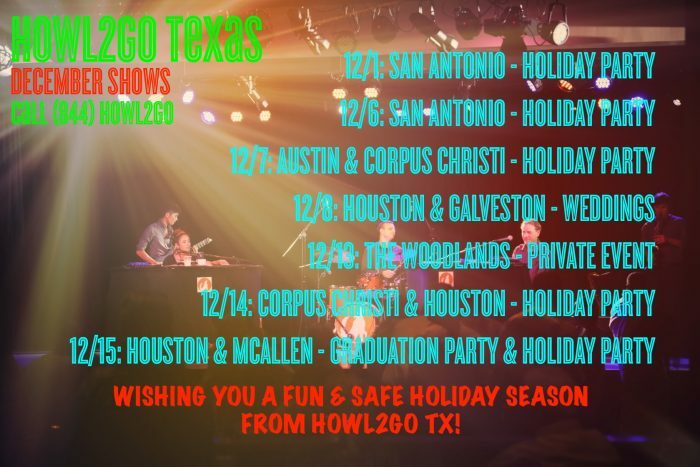 Two more doubleheaders round out the month for us – Corpus Christi and McAllen play host to our Howl2GO performers, alongside two great nights in Howl at the Moon‘s hometown of Houston.